Setting up and maintaining a marine aquarium can be a challenging but fulfilling hobby. While marine tanks are spectacular, they are not as easy to set up or maintain as freshwater systems. Marine fish require a stable environment, with excellent water quality. This is also important for invertebrates and coral, other inhabitants of the marine aquarium. Not all marine fish live in all areas of the ocean. Some fish enjoy life on the reef while others swim with the currents or head for the dark waters of the deep ocean. When choosing marine fish species for your tank, these preferences must be considered so you can select fish that are compatible with one another and have similar behaviours for a peaceful community within the tank. A basic marine aquarium setup that contains fish as the tank’s focal point is best for a beginner hobbyist. This setup allows the beginner to learn more about water quality and filtration while caring for hardier fish species. FOWLR aquariums include a ‘live rock’, a piece of old coral that is colonised both on and in the rock by millions of macro- and micro-organisms. It heightens biological filtration in the tank. Reef marine aquariums are the most difficult to set up and successfully maintain. The hobbyist must create the correct environment for fish, coral and invertebrates in the tank. Water quality and conditions, including lighting and water movement, are critical to the success of this tank. The tank must contain a live rock and a protein skimmer. Fish and invertebrates should be carefully selected to avoid predation in the tank. Always do plenty of research on the various species. Never choose your fish based on colour and pattern or even price. Consider their feeding requirements and check that the adult size of the fish is comparable to your tank size. Hardier fish species are suitable for beginners. Buy your tank-bred fish from a reputable marine aquarium store. When selecting fish, check all the fish in the tank for signs of ill health. Eyes should be clear and bodies and fins intact, without signs of damage or deterioration. Start with the more docile species, but don’t add too many fish initially. Give these initial inhabitants time to settle before adding more fish. It is also preferable to use a quarantine tank before adding new stock to your tank. Crabs are a fun addition to the saltwater tank. Hermit crabs are hardy and good for a beginner’s aquarium setup. They form part of the tank’s clean-up crew and assist in keeping algae under control. If you choose a hermit, add a few shells to the tank as hermits can become aggressive with sea snails for their shells. Seahorses are wonderful, delicate creatures who provide hours of interest for the marine aquarium enthusiast. They are not suitable for beginners as they are very fussy eaters and need a quiet environment in which to thrive. Cleaner shrimp, of which there are numerous species, also form part of the marine tank clean-up crew. Not only do they scavenge for left-over food at the bottom of the tank, but some species also eat parasites off the bodies of their tank mates. Some fish species eat shrimp, so only include shrimp in your tank if you can provide them with a safe habitat. Anemones can be exceptional in a tank but they are not for beginners. 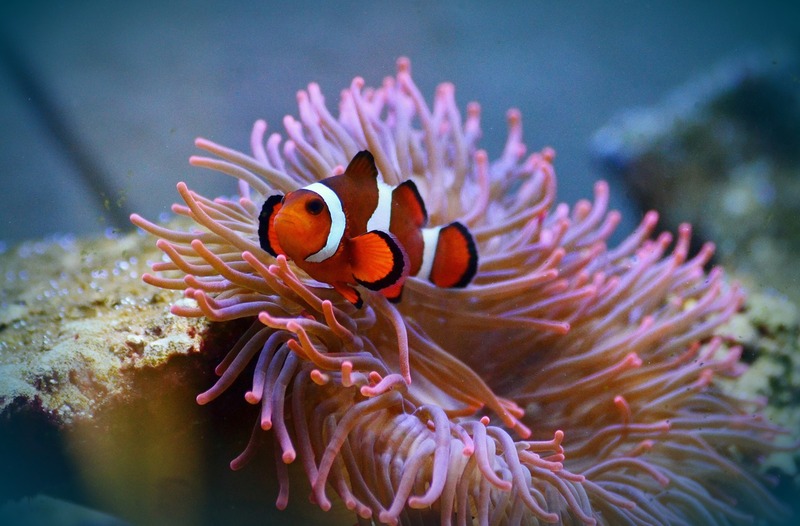 Anemones need special care, specific lighting and very stable water conditions, which include oxygen levels and water flow. Starfish are suitable for a tank with non-aggressive marine fish. They provide interest, colour and shape to the tank. They do require food but will also help to keep algae under control. Starfish are sensitive to changes in water quality and need plenty of care and attention. They are not ideally suited for the beginner. The information supplied in this article is by no means exhaustive, so if you are considering starting a marine tank, seek advice from an expert in the field. Your initial investment in your tank and its inhabitants will be significant, so rather ensure that you get as much information as possible. Mistakes can be very frustrating and costly. The full article appears in the December issue of Animaltalk.